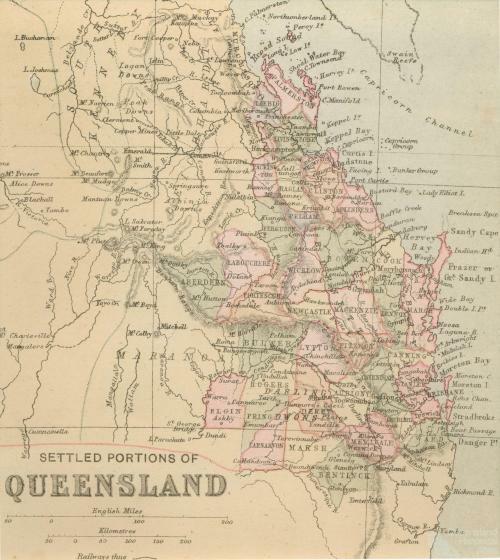 ‘Settled portions of Queensland’, from The student’s atlas consisting of forty-five maps of modern geography embracing all the latest discoveries and changes in boundaries and six maps of ancient and historical geography, William Collins Sons & Co, London 1880. 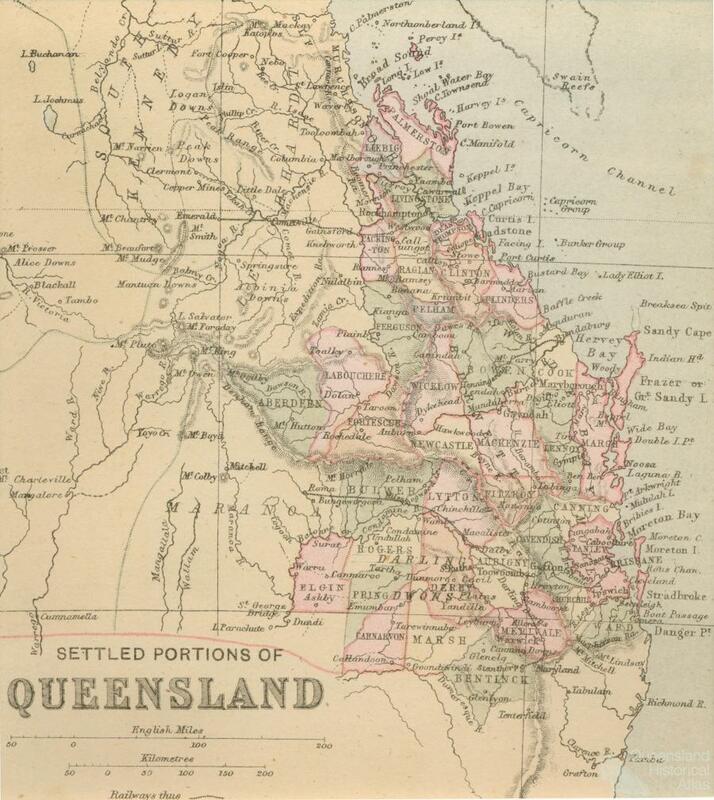 This school atlas produced in London and Glasgow between 1880 and 1889 contained this map of the settled portion of south-east Queensland. According to Peter Barber and Tom Harper, ‘Maps are rarely about geography ... Educational maps are about more than learning: they can carry some of the most powerful messages of propaganda and even indoctrination’, from exhibition Magnificent maps: power, propaganda and art at the British Library in 2010.